Ariel, Eric and Melody Cosplay. The Little Mermaid 2. 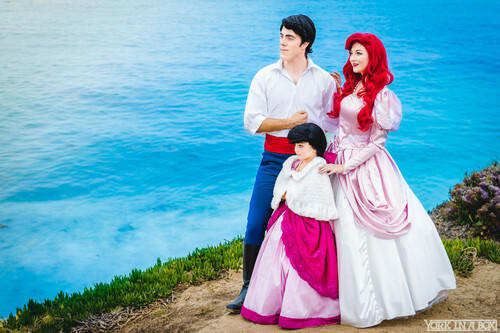 HD Wallpaper and background images in the princesas de disney club tagged: photo the little mermaid 2 cosplay ariel eric melody disney 2000 animated film. This princesas de disney photo contains dama de honor. There might also be ramo, ramillete, ramillete de flores, ramo de flores, vestido, bata, vestido, and traje. The parte superior, arriba Ten Most Beautiful disney Characters.